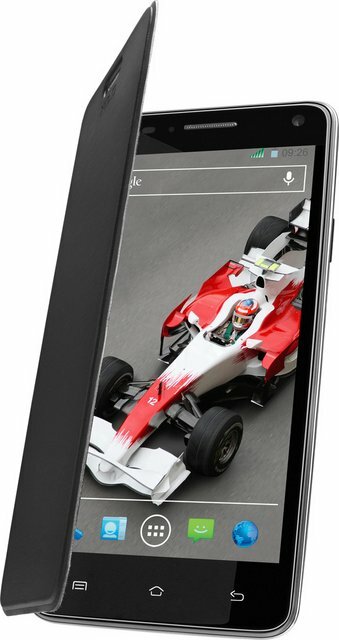 Xolo Q3000, the company’s latest quad core smartphone is now listed on online retailer Flipkart. The new Q 3000 comes with some amazing specs and that makes it a perfect rival (VS / competitor) of Micromax Canvas Turbo, Gionee Elife E6 and Intex Aqua i7. The phone gains the strength from 1.5GHz quad core MT6589T processor paired with 2 GB of RAM. The Q3000 comes with 5.7inch Full HD displaya and a 13MP rear shooter with BSI 2 sensor. It comes in White and Black colors. The price of the Xolo Q3000 is not known yet, but it would be Under RS20,000. It company also provides you a free flip cover with the device. The massive 4000 mAh battery will be plus point on this handset which makes it even better than its Rivals.